"Where else in Quepos or Costa Rica can you go fishing with a American Captain on a 30 foot boat for 850 bucks?" Are the prices listed per person? No, the prices shown are for the boat no matter how many people you bring out to have an awesome day catching fish! The only thing not included in the trip price is the tip and fishing license. The fishing licenses are 15 dollars for a one week license, and are sold by the dock in the mornings before the trip. Sometimes the people who sell the licenses don’t show up, and in that case you won’t need to buy a license. 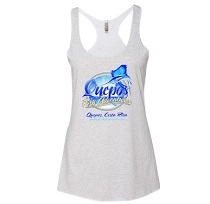 Why are you so much cheaper than similar boats in Quepos? Lots of reasons. First and foremost, we charge less because we love to fish and when we charge less we get to go more often. Another reason is this is an owner run boat and website so you aren’t paying any agenciy fees you pay when book from other websites. Why pay 20% more to go through an agency? Also, Owner John W spent lots of money rebuilding our boats using corecell, carbon fiber, and special fiberglass weaves to make boats that weigh half of what our competitors boat weigh. Lighter boats burn around half the fuel, so we can charge less than our competitors, and still buy more fishing gear! We also rebuild our motors long before they need it, and not worn out motors burn less fuel. If you want to go with a crew who is just as excited about fishing (or maybe even more excited) as you are, then you have found the right boat! Included in the price is the boat with Captain and Mate (Mate is there just to help you fish),lunch, fresh fruits, cold drinks (Imperial beer-soda–tea-water), bait, and an unforgettable time! Are the waters rough offshore? From November to April the waters offshore are comparable to a small lake. From April to October, they get a little more choppy, but usually not too bad. What electronics do you have on the boat? All the boats have new VHF radios which are always in range of the marina, Furuno GPS Chartplotters with Costa Rican Maps, and high end Furuno Sonars. All the electronics are in new working condition. What is the best time of the year to fish? In Quepos, there is always something in season.For sailfish the best time of the year is December through April (but caught year round), Marlin season is April through October, Dorado season, October, November and December. There are always big fish to catch, making all trips awesome and enjoyable! How much do hotels cost in your area? Look in our Hotels Page for hotel prices and pictures. We also can generally get you cheaper tours for ATV’s and other things, just check! What else is there to do in Quepos? 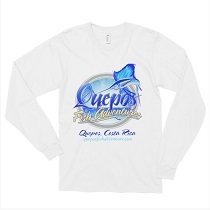 We have it all in Quepos from White Water Rafting to ATV’s to Zip Lines to horseback riding to sunset sailboat tours. We also have one of the nicest national parks in Costa Rica called Manuel Antonio National Park! Can you help with all my travel arrangements? Yes, just shoot me an email and I would love to arrange everything for you! Can I ask random non-fishing related questions about Costa Rica? Yes, I love questions! Anything at all from transport, to other places or even ask me about other boats you’ve already booked. I will help with whatever I can! 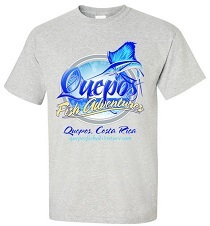 Quepos Fish Adventure on Facebook! There have been a crazy amount of Yellow Fin Tuna around offshore lately, I would expect those guys to stay around until at least November. There have been some nice big Marlin around the schools. October and November are also the peak months for big Dorado/Mahi here, so we should start seeing more and more of those. Sailfish are always around, but we'll start seeing more and more from now until December, when the peak sailfish season starts. Peak sailfish season is from December to April. Inshore lately, we've been running out about 10 miles to a buoy we put down that is loaded with Blue Runner. I'd expect that to be the norm until around November when we see more schools of sardines. With the blue runner, we can run over to the rocks in front of Manuel Antonio for roosterfish and snapper, or stay around the buoy and drop down for snapper and grouper. Occasionally from now until November we will see schools of sardines in the area, and around those schools there will be roosterfish, snapper, jacks, snook and seabass. Night Bait from Johnny's dad should also be pretty good with some lookdowns everyday, but the blue runners from the buoys combined with the night bait is the best pattern to troll for the most action.